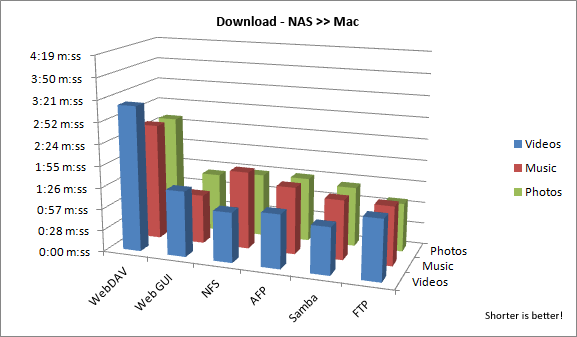 For the web interface, it's not possible to download more than one file at the time. Because of that, for the download test, the files were added to a ZIP archive. 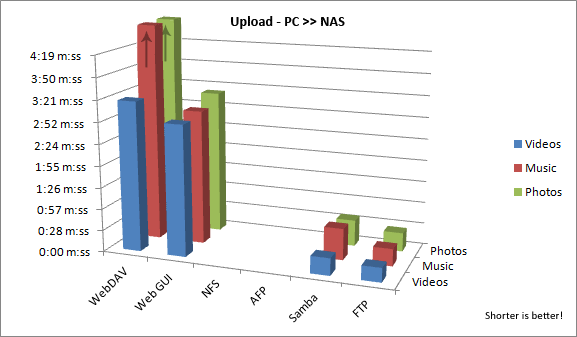 The resulting transfer rate is therefore faster in comparison to the upload, where the files were not combined in a single ZIP archive. 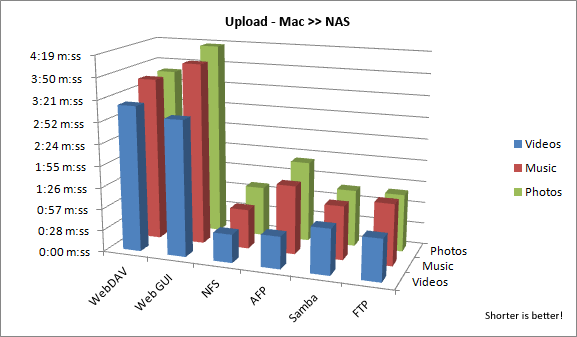 The photos and music results for the WebDAV upload were out of range for this benchmark. For music, the transfer completed after 9:54 m:ss and for photos, it completed after 10:29 m:ss. Following recommendations are not based solely on the best transfer rates but on the best overall user experience. Anywhere Web interface No explanations or software installation needed and it works with all browsers. Large file backup Samba Ease of use once the network drive is mounted and fast transfer rates. iTunes music server Streaming does not require user login, easy and convenient for media playback. Mobile app MyAkitio web portal automatically redirects user to network drive at home, no further setup required. 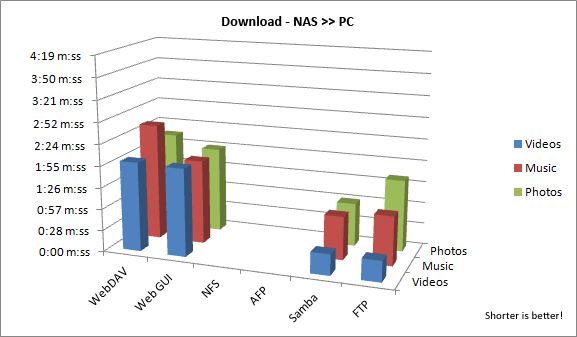 Large file backup FTP Best transfer rate for remote access and FTP client provides additional functions (e.g. pause, resume, error log).